Over the last month, I wrote eight articles for various sources and finished/submitted my third in the How the West Was Drawn series. I needed a writing break. 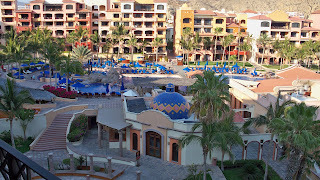 A fellow Dixieland Jazz enthusiast invited my husband and me to share his very large timeshare in Cabo San Lucas. 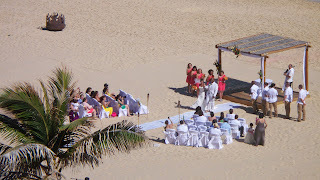 I checked the safety of the area, Googled the resort (Playa Grande), and decided it might be a fun trip although we wouldn’t know two of the other three couples sharing the four bedroom condo. I wondered if I could really keep from writing for a week. Would I return re-energized? We accepted the trip and I vowed to have fun and refrain from writing. I loaded my laptop into my carry on. Not to write. I only planned to check my emails and download pictures. 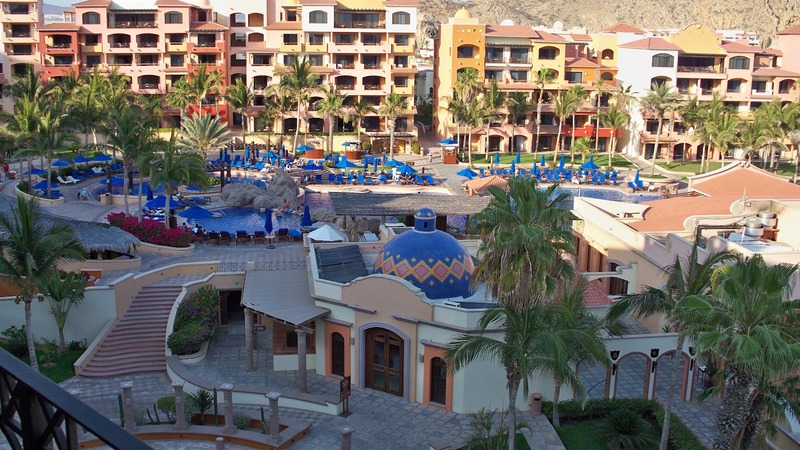 Our resort oasis sported plush vegetation with beautiful flowers in the unexpected desert of the southern tip of Baja California. Our host promised we could sleep late, read, relax, and bash politicians. I was ready. The first day we shopped at Costco and WalMart for supplies. Throughout the week, each couple took turns cooking meals. Most everyone retired early to their private bedroom suites (larger than my master bedroom at home). I only turned on the TV twice for a half-hour bit of news. I checked emails but didn't write. The first night I took pictures of the wedding in the little gazebo below our deck. I told myself the pictures could help write an article once we returned home. 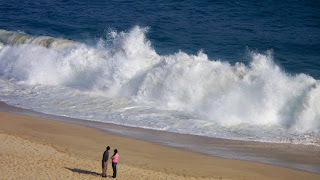 I walked the beach and watched the skim boarders ride the high waves that broke against the sand. I hurried to the room and grabbed my camera. I wondered if I should take notes - nah! The rest of the week included a walk to town to haggle with vendors at the Flea Market. I read two books. Each evening I mentally noted how the grounds keepers raked the sand or cleaned the area around the gazebo. We watched two more weddings, listened to outdoor music performances, witnessed a fireworks show, and enjoyed the nightly breezes. The week ended. The first day at home I received three writing assignments. My mental notes and Cabo pictures offer plenty of fodder. I succeeded in taking a break from writing for a week. Now I'm re-energized and have caught the Writing Bug again. Lovely pics of the seaside wedding and other pics. Thanks. Now I need to turn the pictures into articles.